In the Khmer language, “crossing the river” is a way to describe childbirth, meaning a journey that should go smoothly but could just as easily go wrong. Today, childbirth is safer than ever before. Between 1990 and 2015, maternal deaths in Cambodia fell by more than 80 per cent, according to United Nations data. But these improvements have been uneven across the country. Access to quality maternal care remains limited in many rural areas. 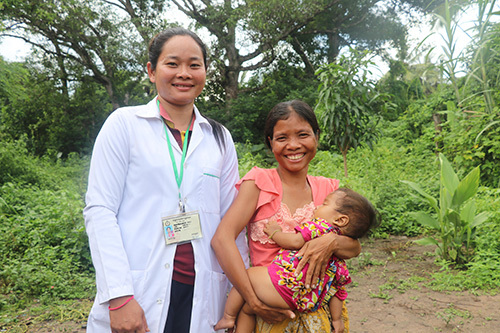 The poorest rural women in Cambodia are significantly less likely to be informed of pregnancy complications during antenatal care, for instance. And nearly a quarter of the poorest rural women do not give birth with the help of a skilled birth attendant. But things looked good for Bora’s latest journey to motherhood. A health facility near her home was well equipped and staffed by professionally trained midwives. Even so, things took a dangerous turn. “We had just come back from the rice fields. As we were beginning to prepare dinner for our four children, I started to feel some discomfort. Not wanting to risk it, we raced to the local health clinic,” Bora recalled. 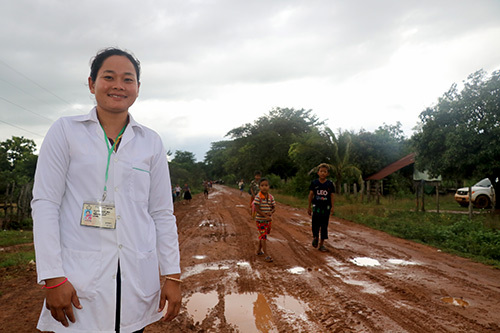 Ratana and her colleagues at the health centre had safely delivered nearly 100 babies over three years. They had no reason to think Bora’s delivery would be any different. The labour progressed smoothly, and the childbirth went as expected. But in the aftermath, Ratana grew concerned. Ratana realized that Bora was experiencing a potentially deadly complication – a retained placenta. She and her colleague quickly consulted a more experienced midwife in a nearby facility. They were able to stabilize Bora and transfer her to a better-equipped clinic about 15 km away. Ratana, like her colleagues, is deeply committed to her work. She tries to lower the barriers to health care for those in need, even performing house calls to check on pregnant women and new mothers. And she is always ready to help. “Delivery can happen anytime and anywhere,” she explained. Throughout the country, UNFPA is working with the Government of Cambodia to increase access to sexual and reproductive health services and strengthen midwifery care. 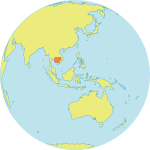 In these efforts, the remote Preah Vihear, where Bora and Ratana live, is considered a high-priority province. There, UNFPA and partners are working with health institutions and policymakers to support midwives and expand access to care.